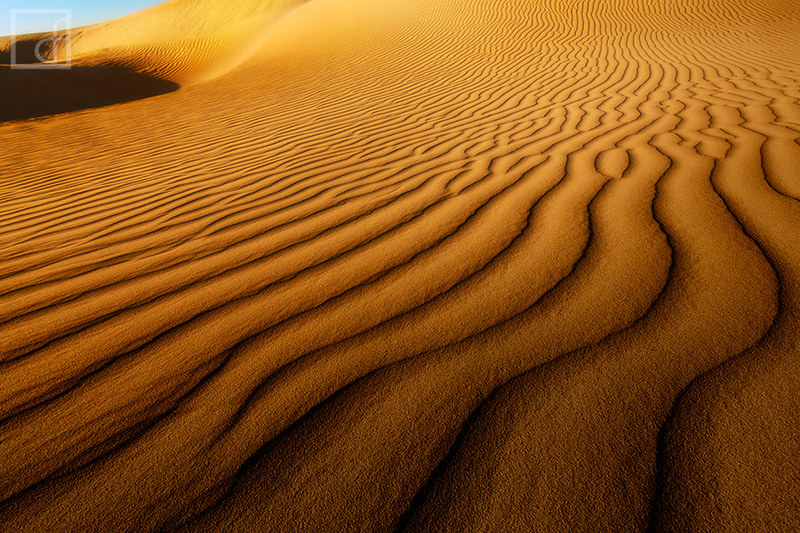 Lancelin sand dunes photographed during sunrise which provided bright warm light on these ripples in the sand. The composition really caught my attention for its abstract and focused view of Western Australia's largest sand dune system. The area is very popular among tourists, located 90 minutes north of Perth. After an afternoon trip to the dunes I decided to head back for the weekend to capture the stunning sand dunes under different light and in search of new perspectives. This photograph was well worth the 4:30am start! Secure your limited edition, Lancelin Sand Dunes photographic print, 'Entice', by selecting your desired print size in the menu to the right.